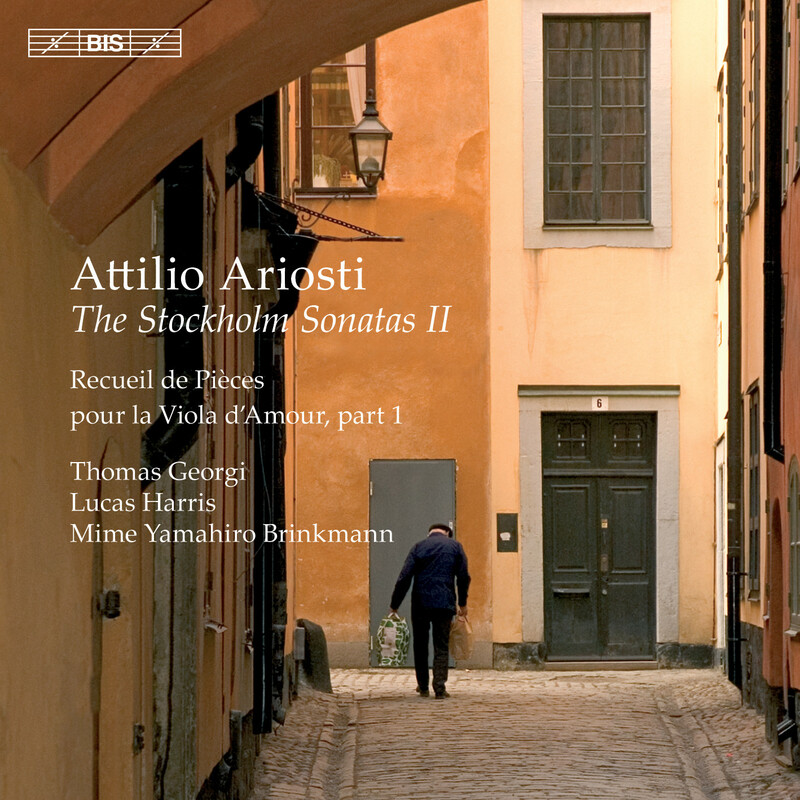 Thomas Georgi, a leading specialist on the viola d’amore, continues his labour of love from The Stockholm Sonatas I (BIS-CD-1535), in resurrecting the music of Attilio Ariosti (1666-1729). The first volume consisted of the music published by Ariosti in London as a set of ‘Lessons for the Viol d’Amour’. The works recorded on this disc were preserved in Stockholm, in a manuscript entitled Receuil de Pièces and copied down by the Swedish composer Johan Helmich Roman in the late 1710s during his studies in London. Based on the Stockholm manuscript and using his considerable expertise in the music of the period as well as the viola d’amore itself, Georgi has made his own edition of the works. This recording comprises the first 7 of the 15 ‘sonatas’ contained in the Receuil, leaving the remainder for a final, third volume in the series. Highly regarded by his contemporaries, Ariosti has been more or less forgotten for more than two centuries, but now has now found an eloquent advocate. In his liner notes Georgi underlines Ariosti’s ‘remarkable twists of harmony, his witty way with silence as well as with notes, his preference for juxtaposition of contrasting material over development of a single idea’, wondering if these qualities would have found him ‘as wide an audience as Corelli’s’, had the viola d’amore been more widely used. The previous volume was praised by reviewers for its ‘beautiful, well-shaped and authentically-aware performances …captured in an excellent recording’ (MusicWeb International). On the present disc, Georgi is joined by lutenist Lucas Harris (who also participated on Volume I) and cellist Mime Yamahiro Brinkmann for another hour of first-class ensemble playing.